A New Kind of Coffee Break - Word on the street with Visit Minot!Word on the street with Visit Minot! With Room Coffee is not your average coffee shop. They are all about local ingredients. They are all about the Minot community. 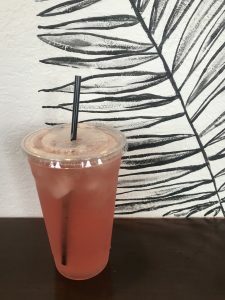 It all started with a dream, sounds cliché, but Becca Alvarez, co-owner, always had a coffee shop in the back of her mind. She started out at Starbucks and worked there for 9 years, that is what gave her the confidence to open With Room Coffee with Emily Vilandre, co-owner. 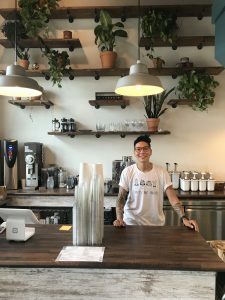 The name, With Room Coffee, means that there is room in the coffee to add sugar or creamer or whatever it is to make it your own and that there is room for growth in the community. They started selling their coffee, made from a french press and cold brew, at local events in the summer of 2017, but when the cold hit they set up shop in CHI St. Alexius Medical Plaza. Once they started becoming more popular, they looked for their own space. 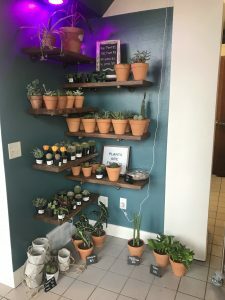 After a lot of hard work and months of planning, they opened in their permanent location in Downtown Minot on July 7, 2018. 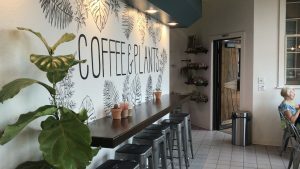 With Room Coffee is not your average coffee shop because they have plants. Yes, you read that right, plants. They sell a variety of plants in their shop as well as coffee. To quote Alvarez, “What do you need to survive? Caffeine and oxygen.” The plants add color and a nice energy to the store. In addition to coffee and plants, they have baked goods, teas, and other specialty drinks. They also sell their own coffee to take home, growlers, and shirts. are local and they have partnered up with multiple other businesses to sell local beer, wine, and food in their new establishment. They believe that being apart of a community is about growth, not competing against each other. They hope to create a culture of belonging with one person at a time. With Room Coffee is located downtown in the Brick Studio building, you have to go check them out. If you can’t make it into their shop, you can get your drinks delivered. You can go to their website, their Facebook, or Instagram to learn more.